The Yadkin Valley Region takes in Surry, Wilkes, Alleghany, and Yadkin Counties. It’s located in the northwest part of the Piedmont Triad. The major towns are Mount Airy, Elkin/Jonesville, Wilkesboro, Sparta, and Yadkinville. These rural counties are the “gateway” to the Blue Ridge Mountains. The region is rural with natural beauty, river systems, woodlands and great views. The Interstate Highways provides easy access to the cities in the Triad where you can find first-class restaurants, shopping, high- quality healthcare, and many major universities. Parks, recreation, wine tours, musical events, and festivals have stimulated growth and excitement in the Yadkin Valley Region. With four great seasons, and a unique quality of life, the Yadkin Valley grows with first homes, second homes, a strong business climate, and lots of tourism. 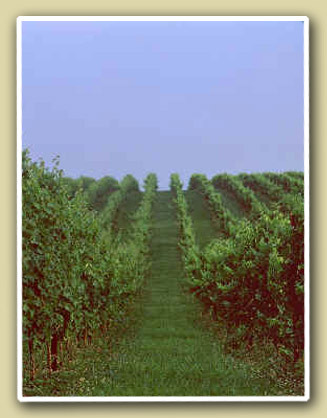 The Yadkin Valley was designated as an American Viticultural Area (AVA) in 2003, the first in North Carolina. A true river valley, it covers over 1.4 million acres of rolling foothills in northwestern North Carolina and reaches from the base of the Blue Ridge Mountains to the eastern edge of North Carolina’s Piedmont. The clay-loam soils and temperate climate provide excellent conditions for growing European varietals such as Chardonnay, Viognier, Riesling, Cabernet Sauvignon, Merlot, Syrah and Cabernet Franc.